tutorial|How to Manage Books Using 3uTools? How to Manage Books Using 3uTools? Nowadays, more and more people are inclined to read on their mobile phones. Because it is very convenient for people to read anytime. But do you know how to import books from your PC to iPhone? How to manage the books of your iPhone? This tutorial is mainly teach you an easy method to manage your books. Note: Make sure you have downloaded iBooks on your iPhone. You are suggested to download it using 3uTools. 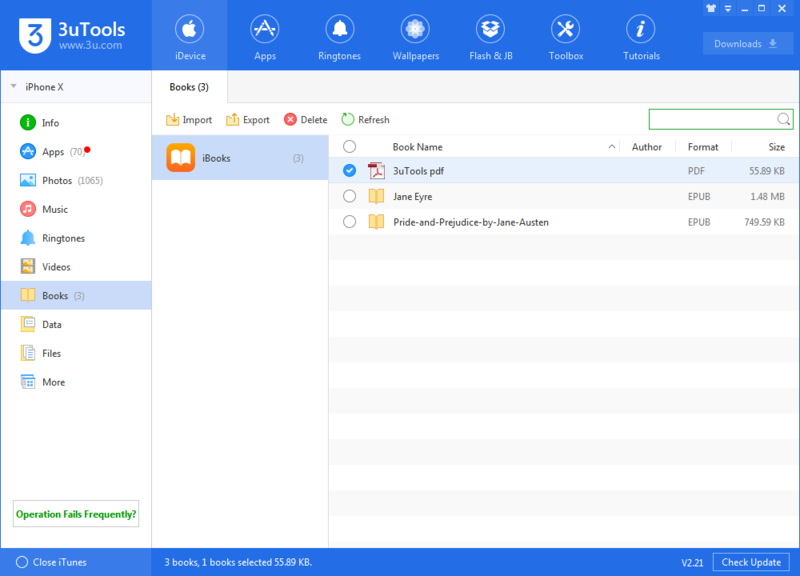 * How to import books from PC to iPhone using 3uTools? Step 1: Run 3uTools, and connect your iPhone, head to Books. After it’s connected, please click “Books”on the left→click“Import”. Supported format: PDF and EPUB. Step 2: You could import a file or folder from your PC. Tips 1: Try to drag your file to this page directly. Step 3: 3uTools will automatically help you import your books from PC to your iPhone. Step 4: Open the “iBooks”of your iPhone, all imported books should be there. 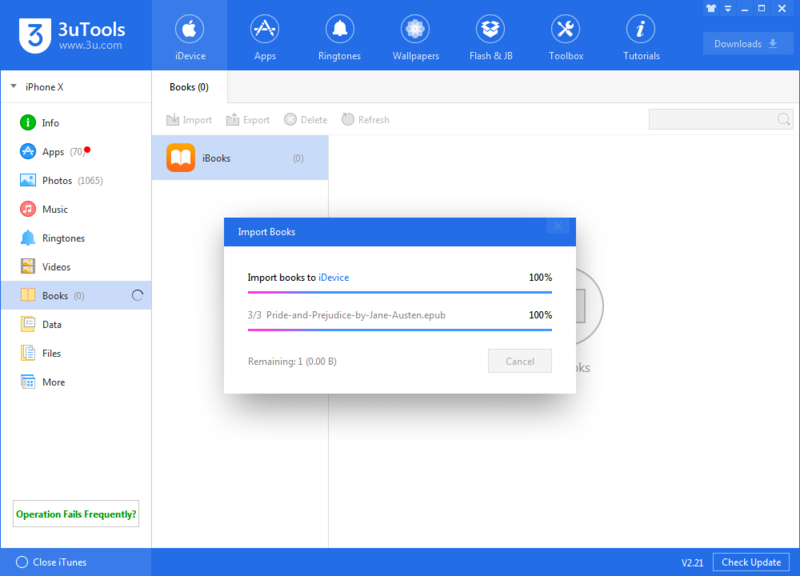 Step3: 3uTools will automatically help you import your books from PC to your iPhone. After it is imported, 3uTools will give you a reminder“x books import succeeded”. Step4: Open the “iBooks”of your iPhone, you can see your books in the item “My Books”. 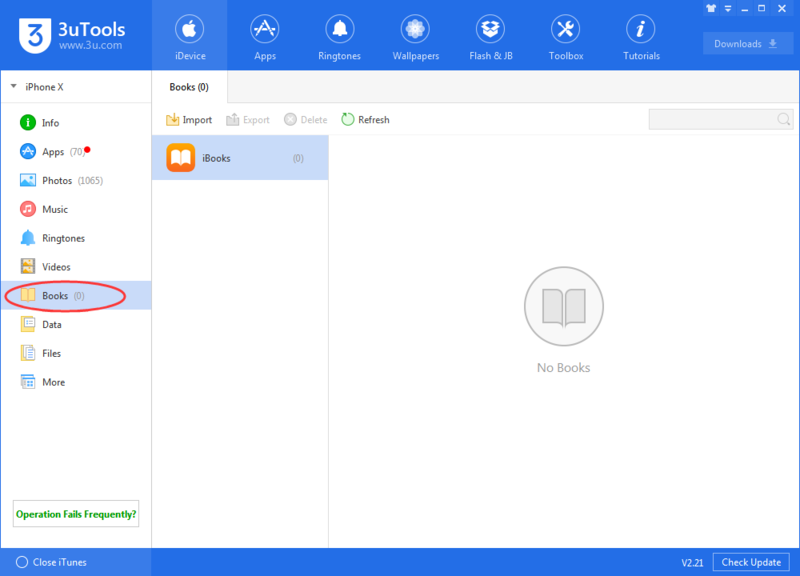 * How to export books from iPhone to PC using 3uTools? You need to firstly select books you want to export, click “Export”→ choose one of your folders to save it. 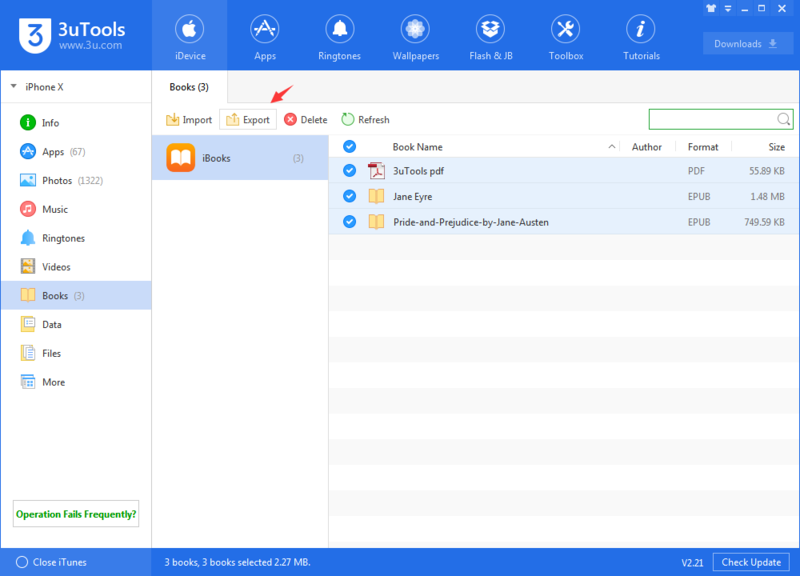 * How to delete books from iPhone using 3uTools? You need to firstly select books you want to delete → click“Delete”.